I started my day very early but since I visited the Bangui Wind Farm before leaving Saud Beach, it was already 7:45 AM when I left for the rest of Pagudpud. According to folktales, Pagudpud was from an exhausted Batangueño peddler’s response when asked what’s his purpose for the visit. He doesn’t know Ilokano but answered anyway. “Ako’y pagud na pagod at ang sapatos ko’y pudpod”. 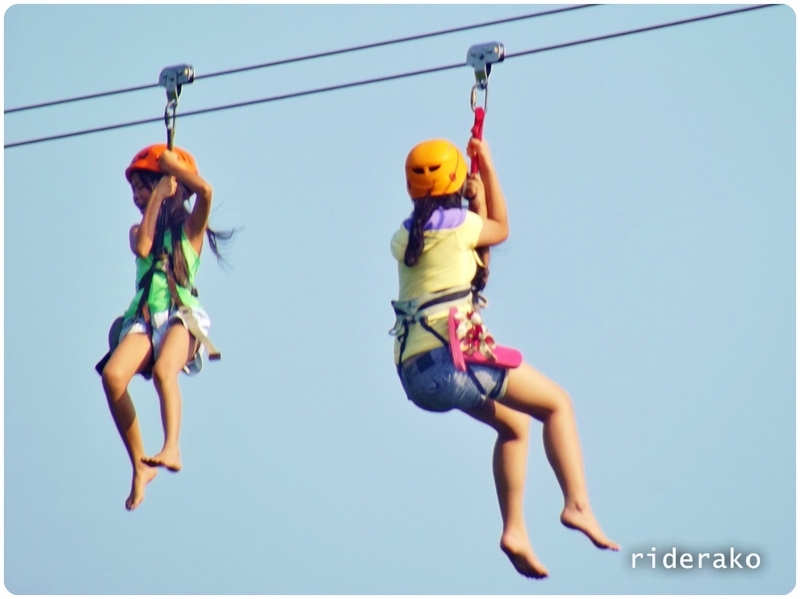 The reply became the byword of the residents and soon became “Pagud-Pudpod” and later shortened to Pagudpud. 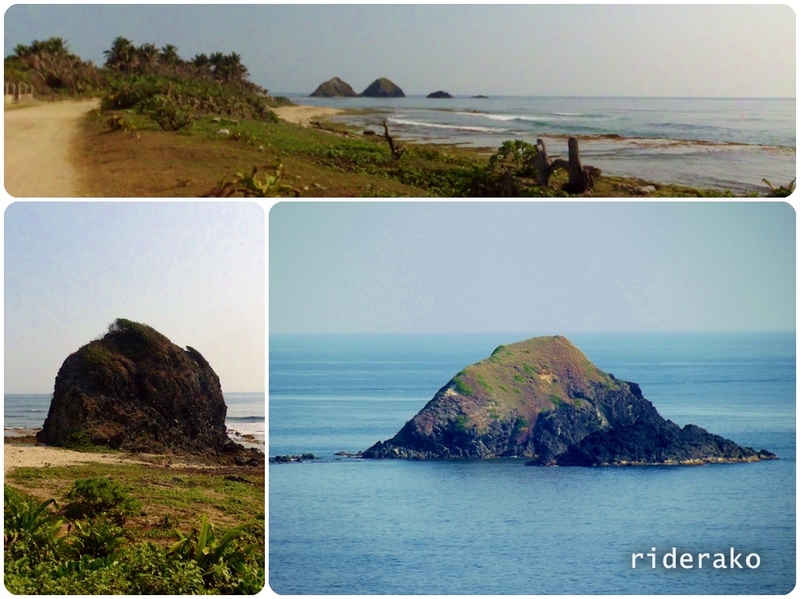 Maira-ira Point is in Pagudpud and it is the northernmost tip of mainland Luzon. The western side of it is Bangui Bay (where Saud Beach and Bangui Wind Farm are) and to the East is Pasaleng Bay. 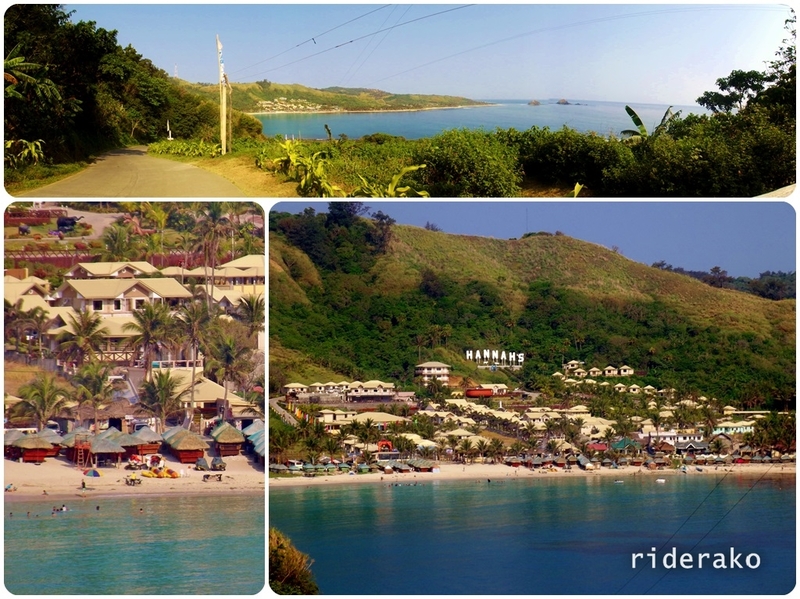 What to see in Pasaleng Bay? Not long after I have left Saud, the road started snaking through and around mountains and I got a little carried away. I might have squeezed the throttle more aggressively than I should have and by the time I got to Gamaban junction, my fuel’s way past the red mark. I may be already running on fumes but there’s really no nearby gas station according to a tricycle driver so I took the Maira-ira Beach Road anyway. 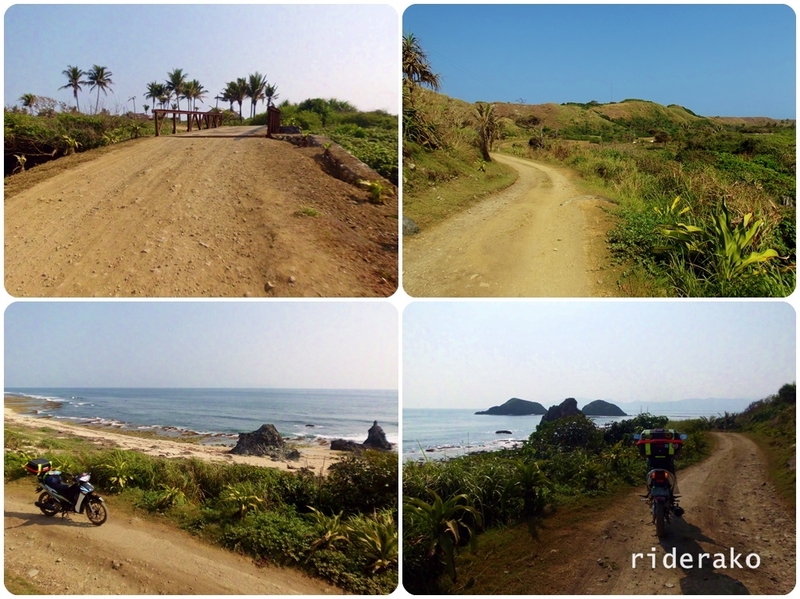 We didn’t stop here on my first Ilocos trip. No one was there to collect the entrance fee, so I just let myself in. This is not even just a “rock” anymore. It’s a boulder! Well, I’m not sure if it is totally detached from the ground but it doesn’t seem to belong there. So maybe it came from somewhere up the mountain. 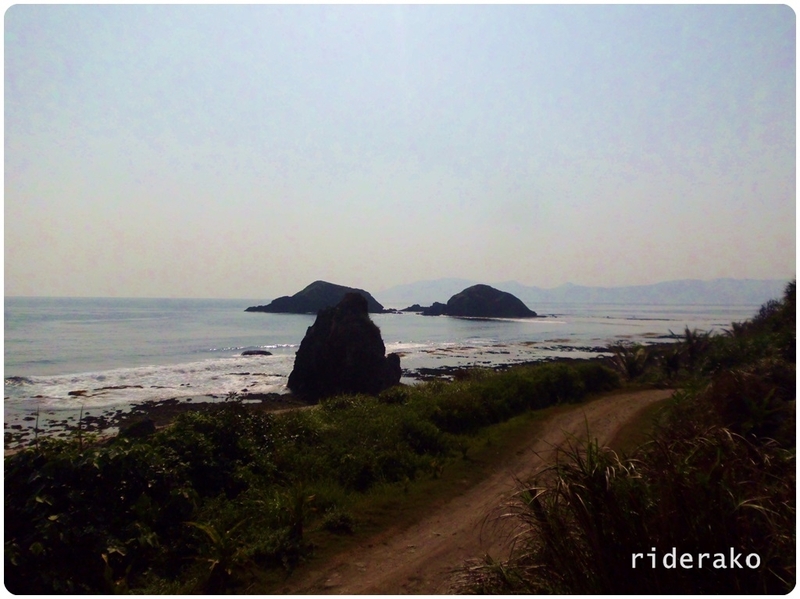 Anyway, it’s a big rock shaped like a bell, hence it’s name (imitation of the sound of a large bell). The rock is only a few meters from the road. Timmangtang Rock is half of what has been known as “Lover’s Rock”. 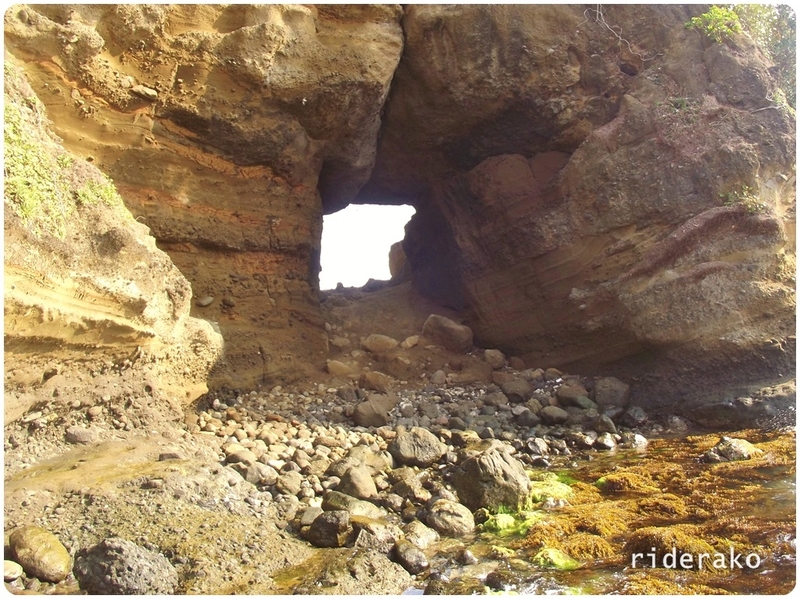 You’ll understand when you see the next rock formation nature has created. 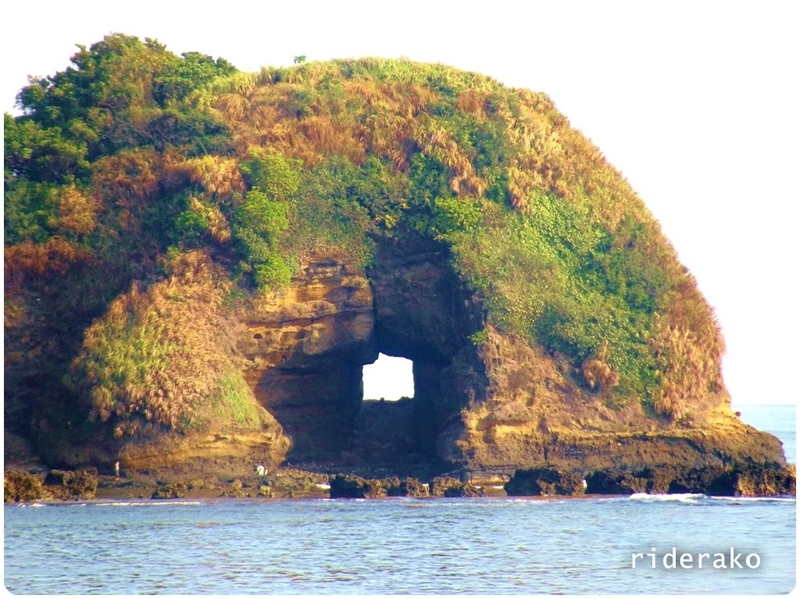 (Speaking of rock formations, read about the Kapurpurawan White Rock here). Bantay is Ilokano for “mountain” and Abot is “hole”. They did indeed got the “mountain with a hole” right but a lot disputes it is not a cave. By definition, it is. Just like Timmangtang, it is also covered with “bushes”. If you know what I mean… *wink* Haha! The view deck beside Bantay Abot won’t give you the view you wanted. 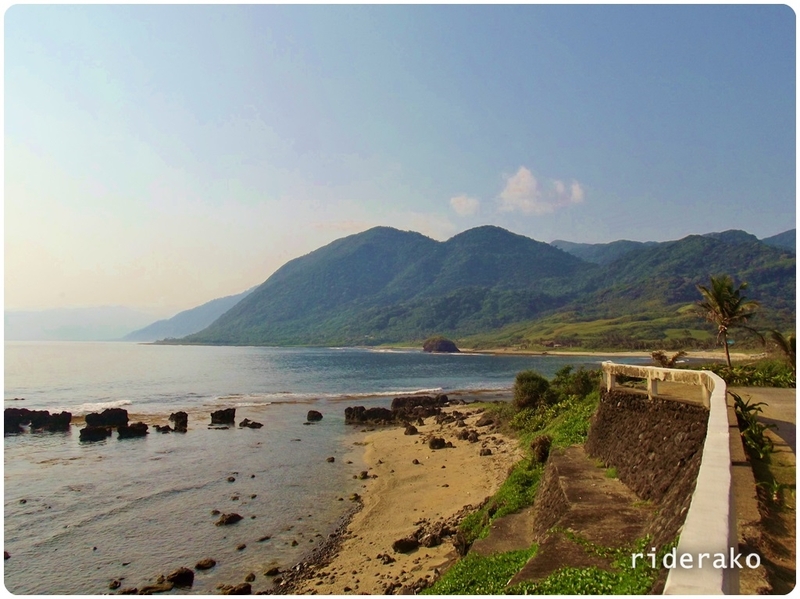 Bantay Abot is better viewed near Timmangtang…. 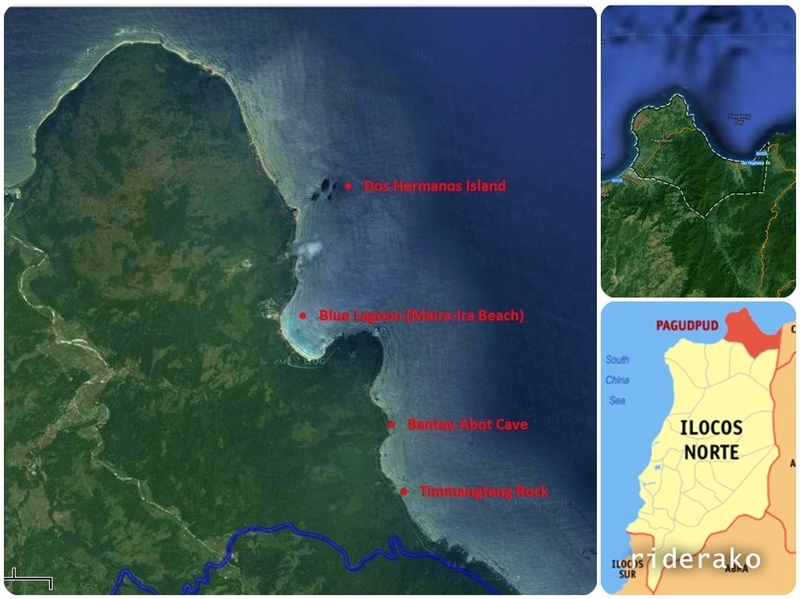 …and Timmangtang Rock is better highlighted here than up close. So, they really are partners after all. 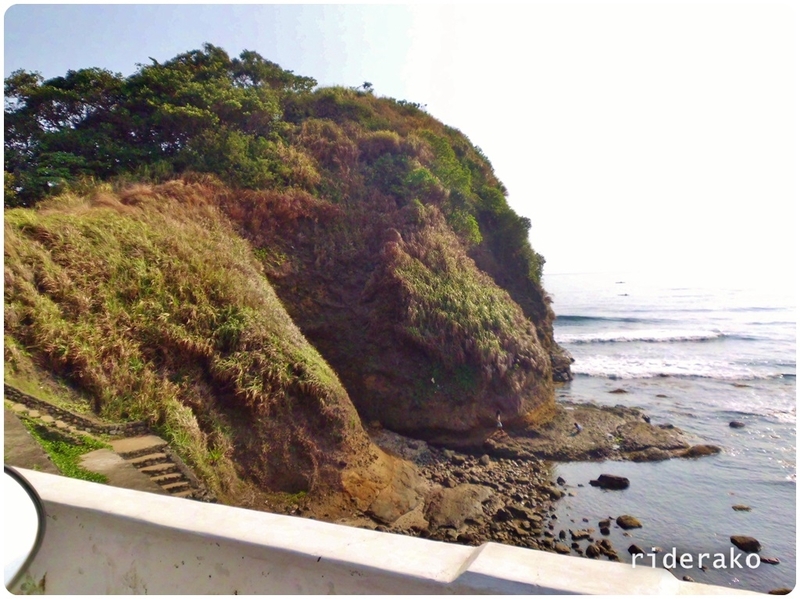 From the view deck, Bantay Abot is accessible via a steep descent to the rocky coastline. The stairs doesn’t have any guard rails so you have to be careful. The shoreline itself is rocky and slippery. I imagine it to be a lot harder during high tide or bad weather (of course). It’s much steeper than it looks.. Some kids playing on the shore offered help with taking the pictures. They were even giving suggestions what pose I should do. The boy operating the camera took a lot of pictures and he was very proud of his shots! The whole structure is bigger than you might think.. The boy insisted I lean against the wall for another pose. 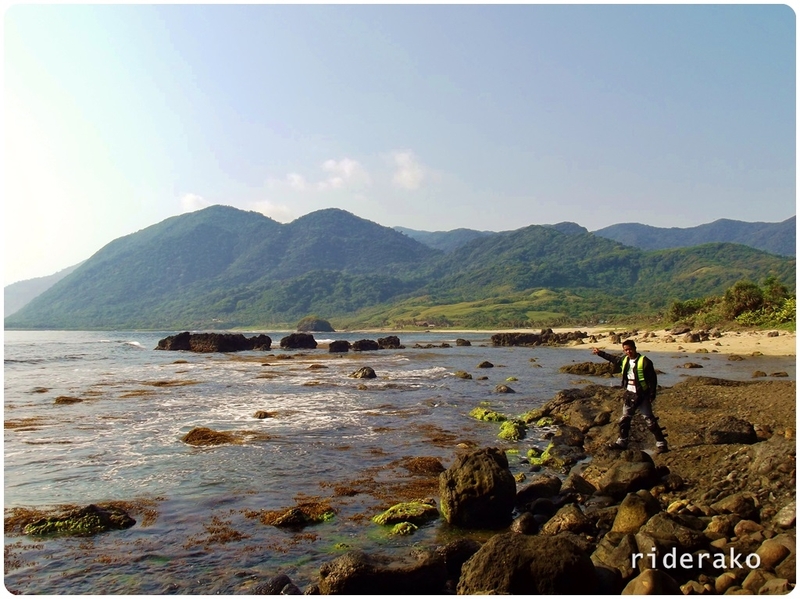 He then asked me to pose on the rocky shore pointing to Timmangtang. just some more of the shots the boy took.. I gave them a little something for their efforts and also some of the chocolate bars I have. We talked for a while then I continued on. 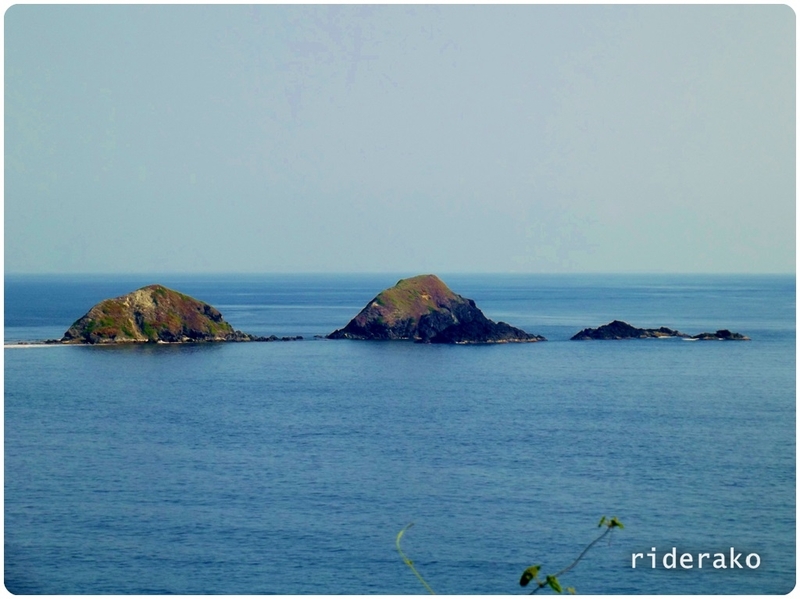 When I reached the crest of the road, Blue Lagoon came into view. Dos Hermanos Islands can also be seen in the background. ..and saw these brave girls. 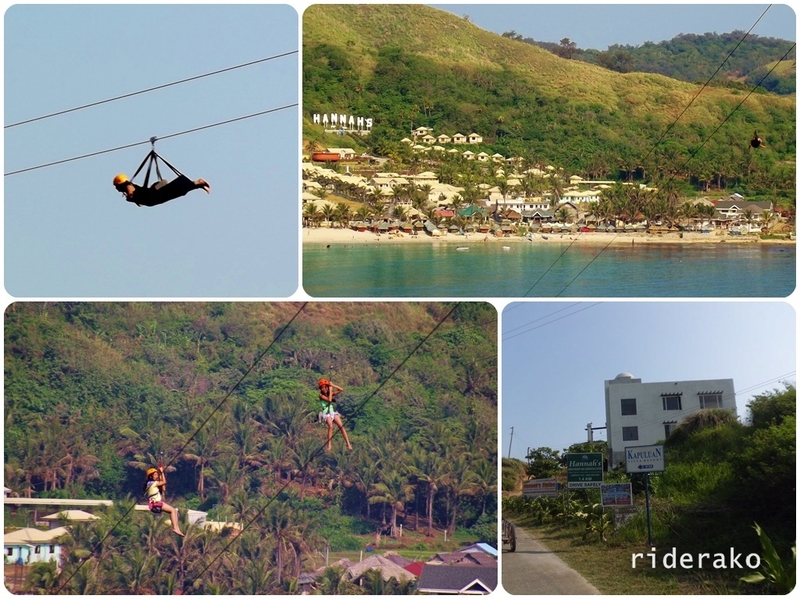 The Hannah’s Zipline is 1.150 km long over the Blue Lagoon and into the Beach. I didn’t plan on visiting Hannah’s Beach Resort but I wanted to see Dos Hermanos Islands closer so I continued down the road. Once again, I wash fishtailing on the fine white beach sand of the “Boracay of the North“. 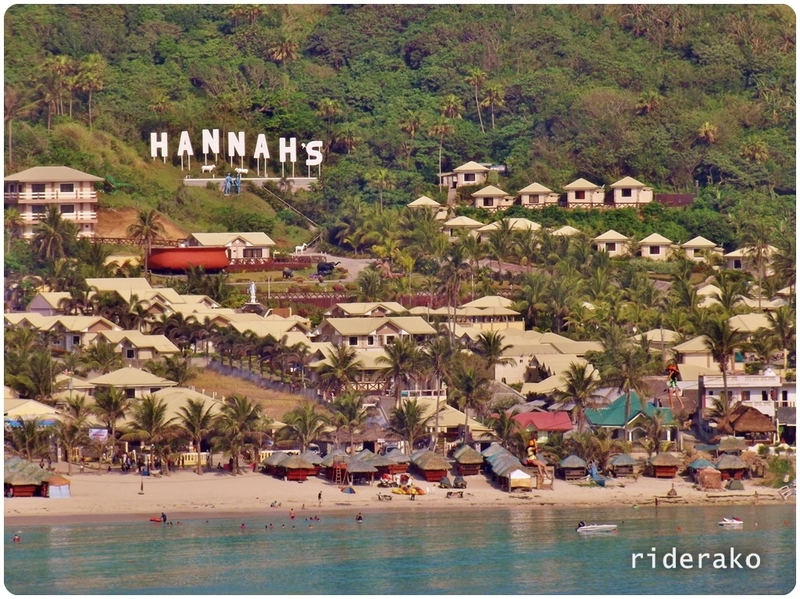 Hannah’s is the most famous beach resort here. I have been seeing billboards as early as La Union. 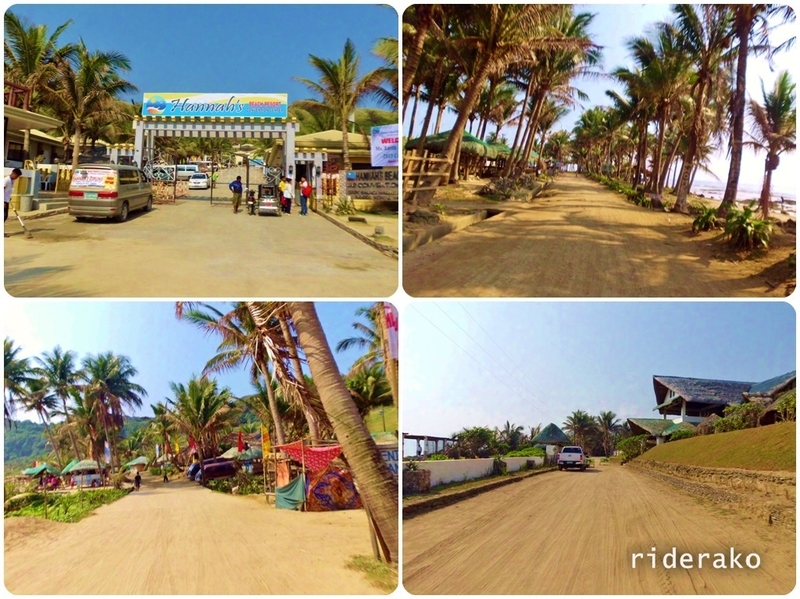 I passed by the resorts, The beach is only a few meters from the Maira-ira Beach Road. Dos Hermanos Islands are two identical mountains just on the edge of Blue Lagoon. They were believed to be two loyal brothers who went out fishing and got caught in a powerful typhoon. They drowned and turned into islands. 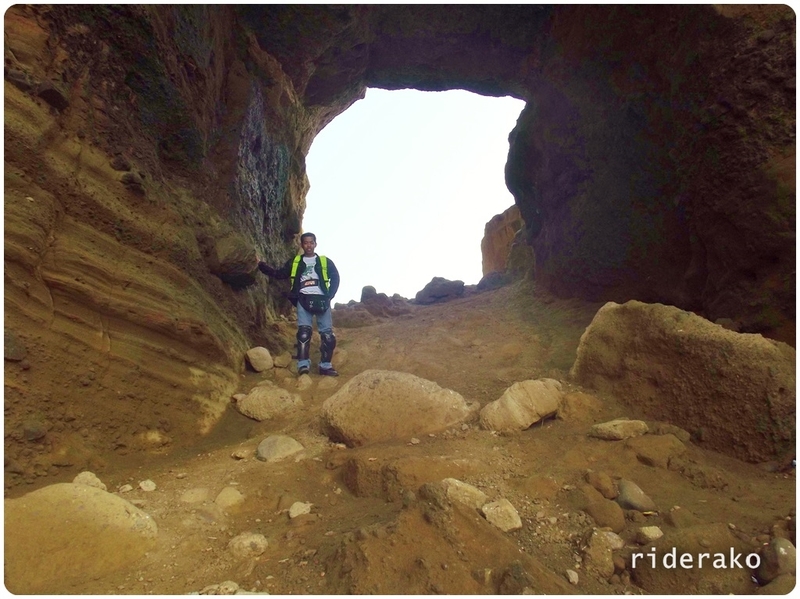 As I go farther down Maira-ira Beach Road, the cemented road turned to beach sand..
..then the sand became rocks. Soon, I was going off-road up to the point that I can no longer see a pathway up ahead. The satellite images were accurate, the road ends here. 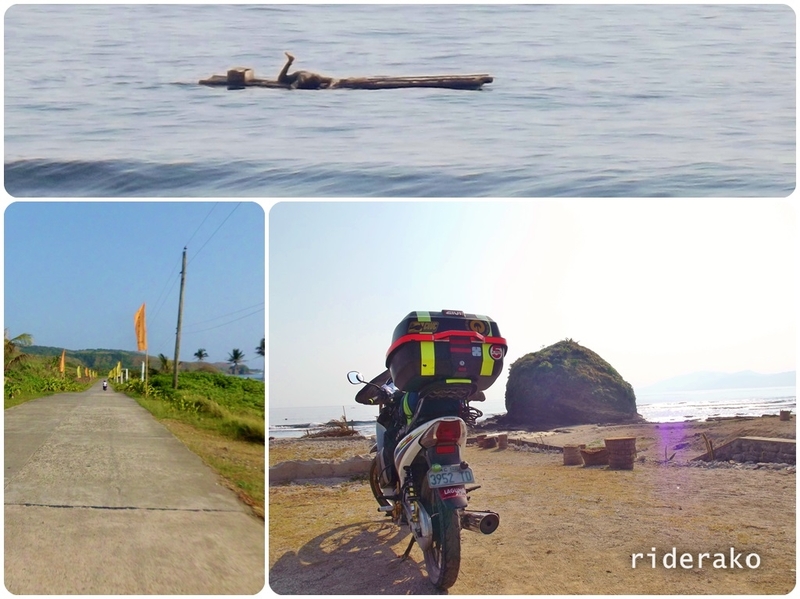 With the right bike, or at least right tires, it is possible to go to the northernmost tip of mainland Luzon. For now, this is as far as I can go. I tried to scale the mountainside for a better view of Dos Hermanos Islands. 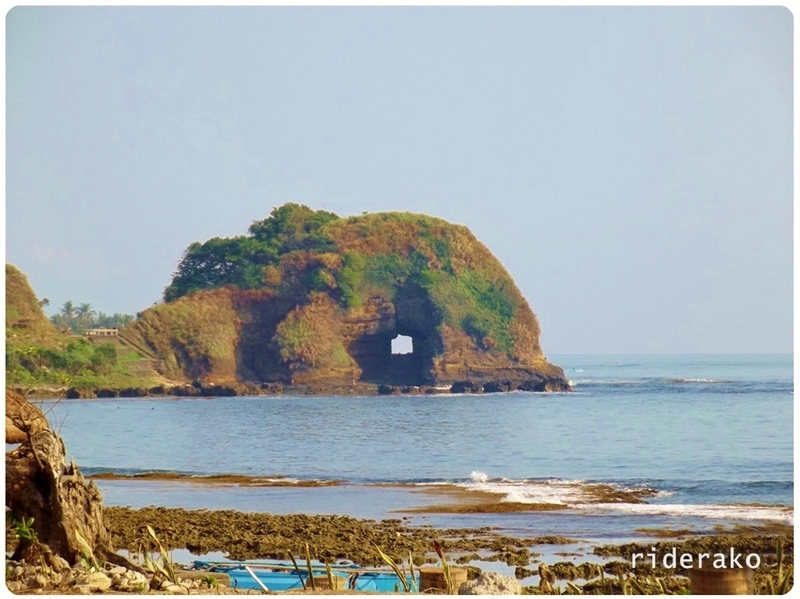 I’ve also read about Nacatnagan (Ilokano word meaning “fell down“) Cliff offering a spectacular view of Pasaleng Bay since it is 150 feet elevated . 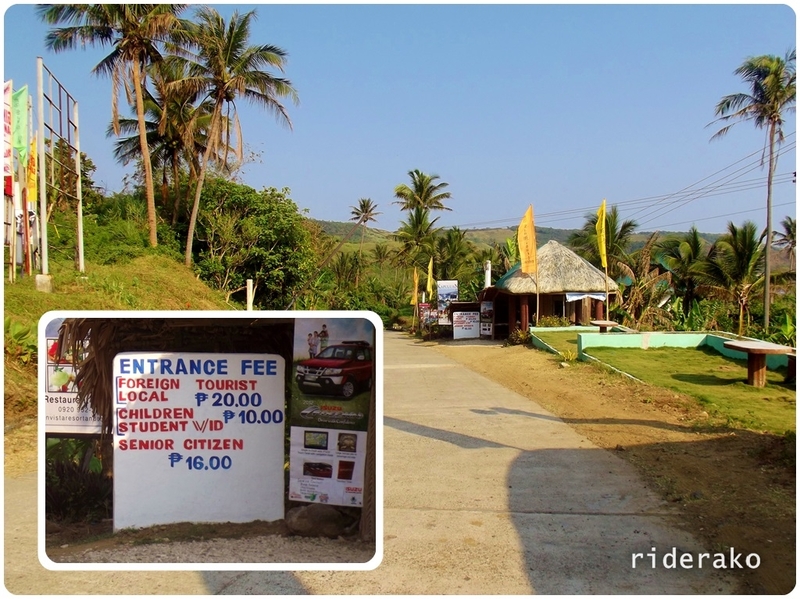 It even claims to give you a glimpse of Babuyan Island on a clear day. Of course, I didn’t really think I can hike there but I was curious because I didn’t see any signs pointing where it is and none of the locals knew about it. When I got back from the trip, I called Pagudpud Tourism Office and spoke to Peps. 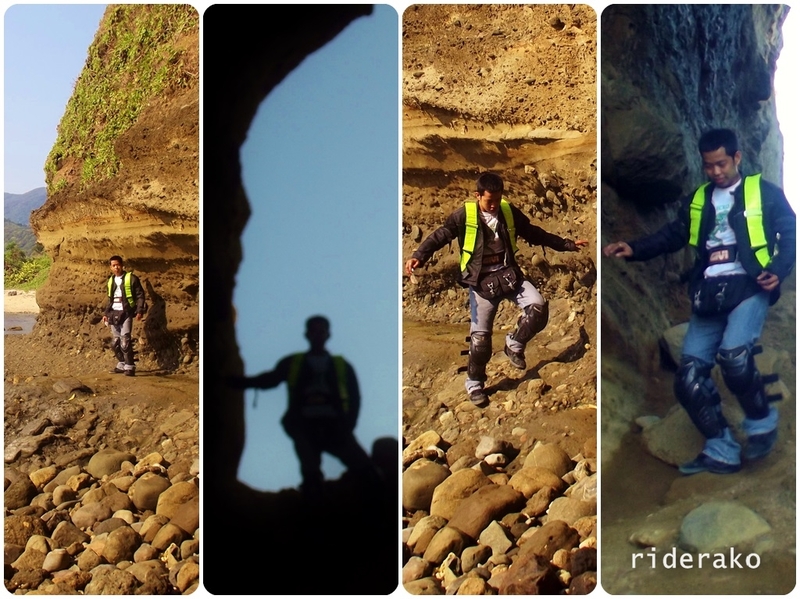 He said, they are no longer promoting this destination since it is a private property but he told me the trek used to start near the Timmangtang Rock. 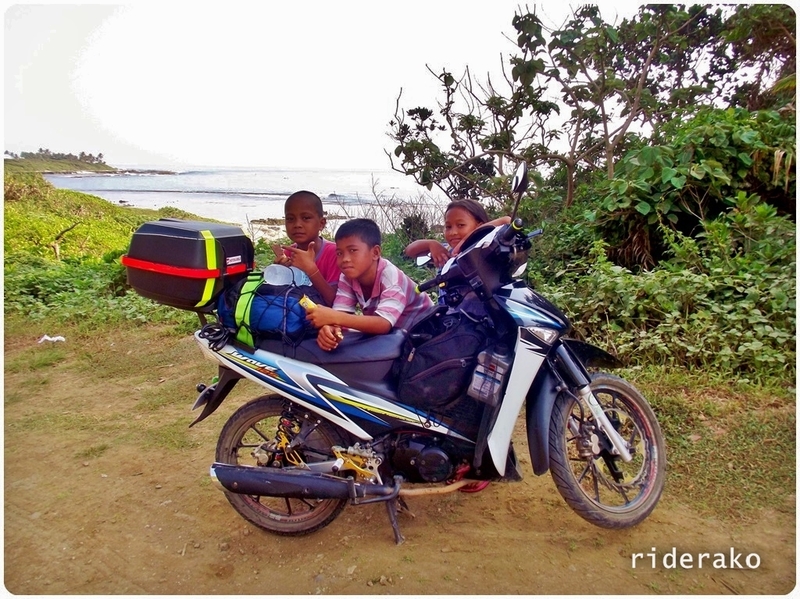 As I fishtailed my way out of the rocky and sandy roads of Maira-ira Beach, the inevitable happened.. I finally RAN OUT OF GAS! Pinch! How do I get out of this one? 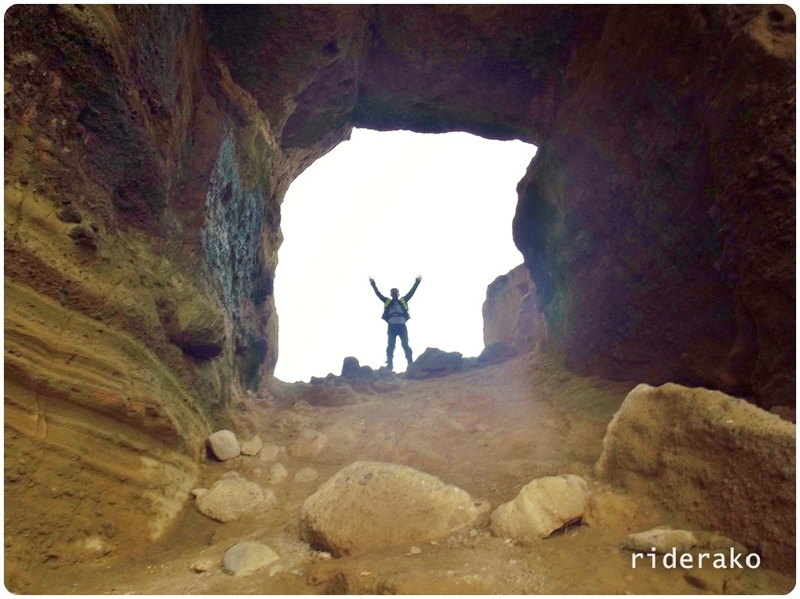 This entry was posted in Long Ride, Rides, Solo Ride and tagged Bantay Abot Cave, Blue Lagoon, Dos Hermanos Islands, Hannah's Beach Resort, Ilocos Norte, Lover's Rock, Maira-ira Beach, Mayira-ira, motorcycles, Nacatnagan Cliff, North Luzon, Pagudpud, Pasaleng Bay, philippines, Timmangtang Rock, tourist destinations, travel, what to see, zipline. Bookmark the permalink. How indeed did you get out?? Hi. Thanks for your posts. Is there a resort hotel along Maira Ira Beach? Kindly email me please? gglazo2002@yahoo.com. Thanks! 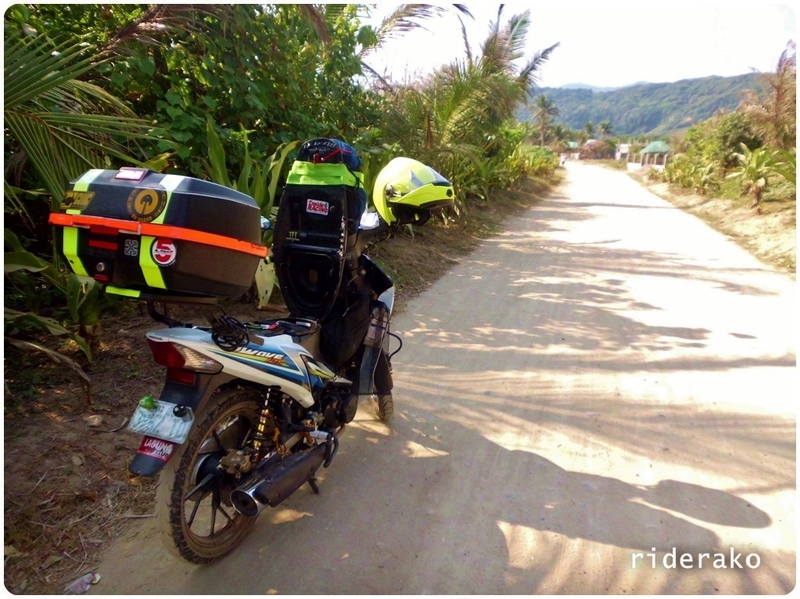 tnx for ur post, its informative… ☺👍been planning to have a ride from mandaluyong to ilocos sur and norte this year.